For the first time in four years, a new member is joining the Oneworld airline alliance. Royal Air Maroc, the flag carrier of Morocco joins the alliance led by American Airlines and British Airways. 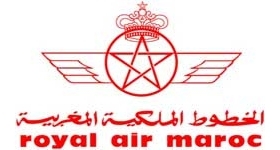 Royal Air Maroc will be the 14th carrier to join the growing network of airlines that also includes key operators like Cathay Pacific, Finnair, and Qantas. In joining the Oneworld network of carriers, Royal Air Maroc will greatly expand the alliance’s currently weak reach into Africa. British, Qatar, and Royal Jordanian do operate service into the continent, of course, but none have hubs in the region. According to data from the alliance, the addition of Royal Air Maroc, which operates a hub out of Casablanca, will add 34 completely new destinations and 21 new countries to the service map. Niske cene do Berlina sa Bulgaria Air!